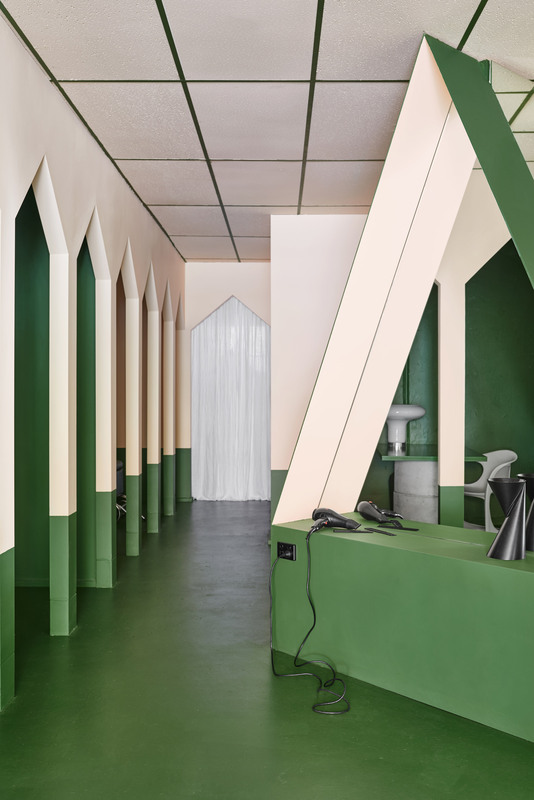 I was happily procrastinating the other morning digging through Dezeen hunting for some exciting salon design. What I saw was a lot of the same – neutral white on white colour schemes (or the bold beige on beige!) and I was getting a bit bored until I came across this eye catching salon. 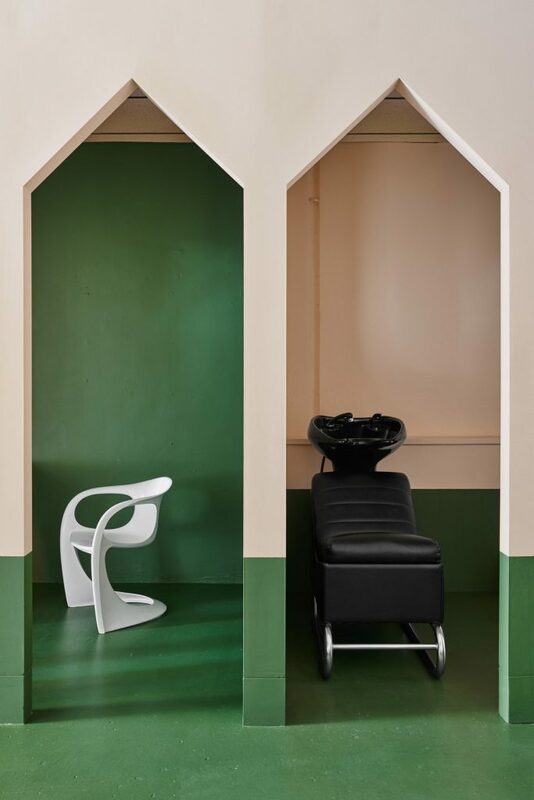 Located in the Richmond suburb of Melbourne, The Hues Hair Salon is a breath of fresh air in salon design. 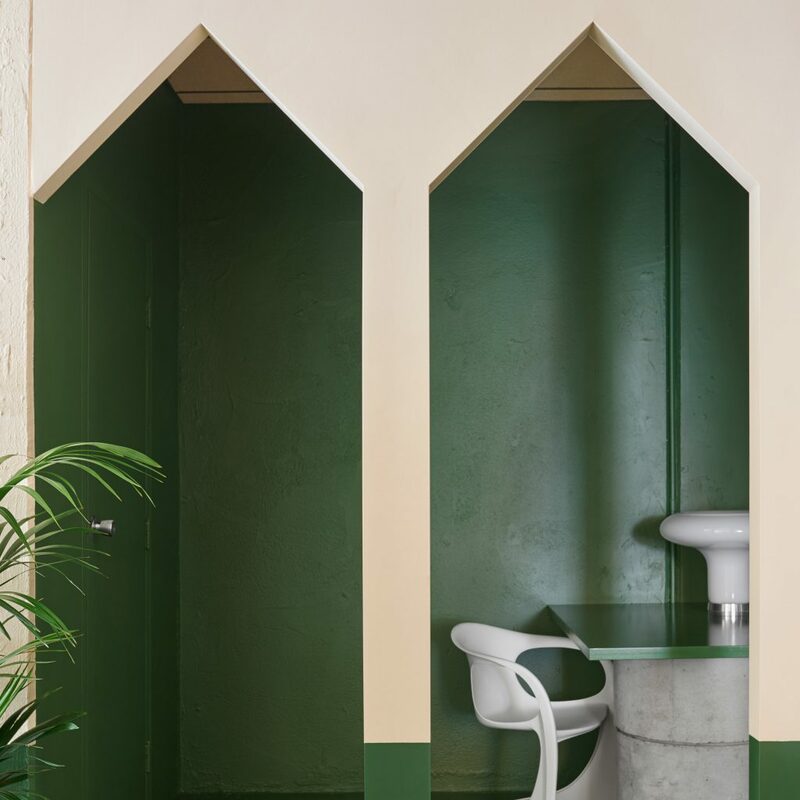 The bold pink and green colour story works wonderfully breaking up the spaces into interesting nooks and crannies. 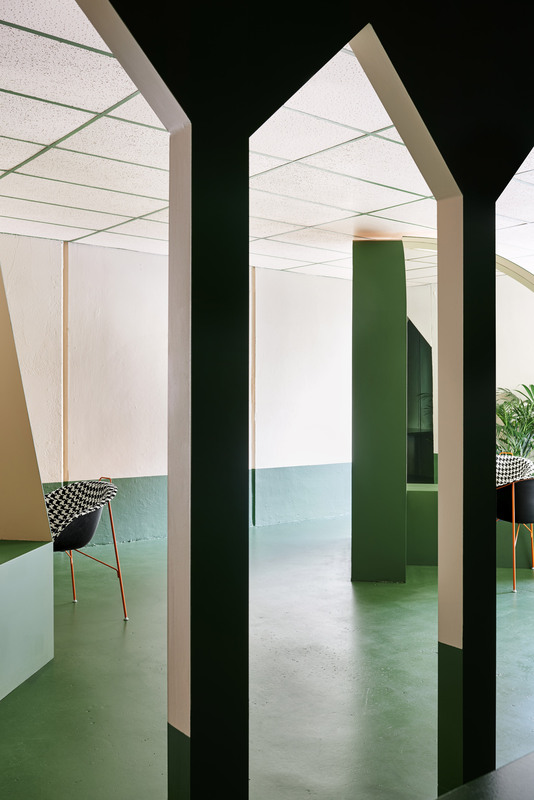 Architect Adriana Hanna wanted to get away from the standard row of cutting stations that face the wall so instead she created lovely private geometric areas that feel cool and confident. The hair wash stations have been tucked away in their own area and the cutting stations are situated to best provide privacy so you can comfortably chat with your clients. 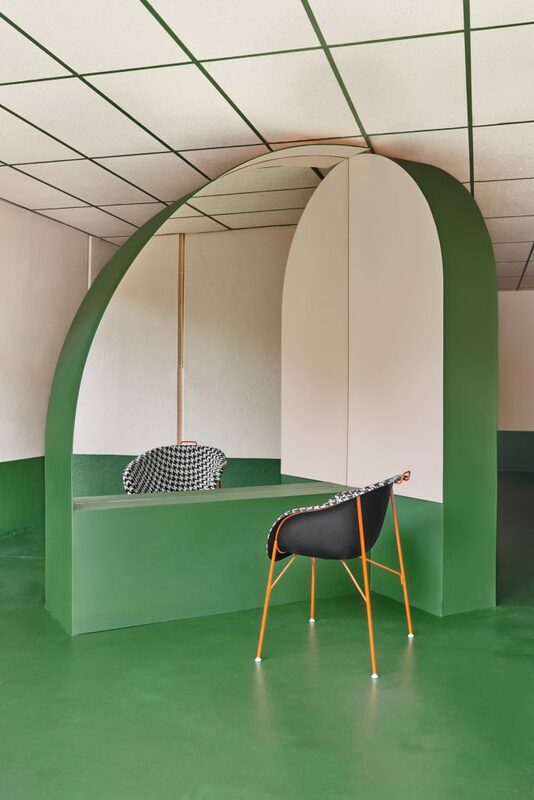 My favourite part is the waiting area which is so mellow and stylish I wouldn’t mind if my stylist was running late! In a neighbourhood with a lot of salon competition, I appreciate the efforts The Hues made to stand out and be bold, it really works and it makes me smile! © 2018 The Parlour by salonMonster.